Lao Chai – Ta Van village is 7 km far from the centre town where ethnic minority communities are living. The tourist will enjoy marvelous panorama of the village with the fresh air, see terrace fields (Sapa’s terraced fields has been voted one of the world’s seven most beautiful and magnificent terraced fields in the world by US-based Travel & Leisure Magazine), you can also learn about their culture and customs. 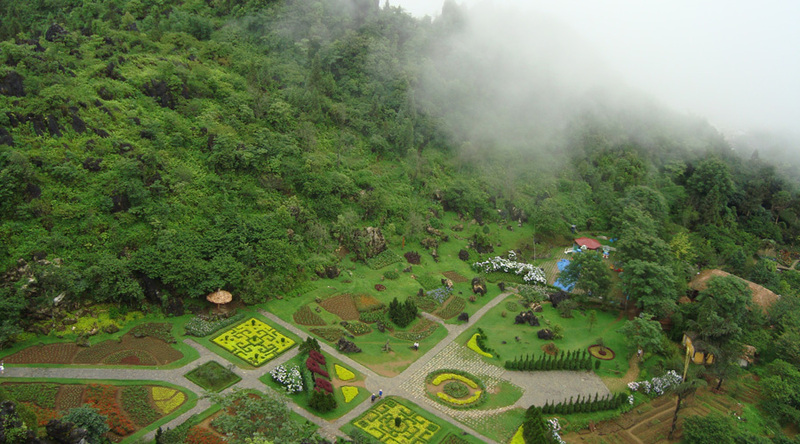 Afternoon: You will explore Ham Rong Mountain with unspoiled and spectacular scenery. Here, you can enjoy many kinds of colorful flowers in Indochian Orchid Garden. Passing two Heaven Gates, visitors will reach the top of Ham Rong which is called Pitch Cloud and have a panoramic view of Sapa. Afternoon: Free time to relax, visit Sapa town, take photos, buy souvenirs..Have dinner. Overnight at hotel. After breakfast, the tourist will visit Lao Chai – Ta Van Village to understand more about ethnic minority communitie, enjoy imposing mountain scenery, terraced fields, marvellous nature. Visit ancient sacred stones with big – small ones which have many unique images, secret sigh. See bridge which made by rattan like Muong Hoa stream. Have lunch. Free time to relax. 21.00: We arrive in Ha Noi. End of services – see you next time!